No doubt Utila is one of the best vacation destination in the whole Caribbean region and there you can spend very good time either you are on the weekend trip or having a long vacation. An island near by the Utila like Roatan are equally liked by visitors, even some time its be rated more than Utila. Roatan is a bay island of Honduras, Bigger than Utila and famous for snorkeling. The thing you will like about this place is its diversity with lots to do. Each area offers a different feel. In short, we can say your Utila vacation can’t be complete without visiting Roatan. You should extend your Utila Vacation plan to visite Roatan. How we can travel between Utila and Roatan? Utila and Roatan both islands are just 49 kilometers far from each other. This sea distance you can cover by the ferries, running seven days in a week from both sides. Flight service also available from both side. The Utila Dream Ferry makes the trip between Utila and Roatan four days a week on Friday, Saturday, Sunday and Monday. Departing Utila for Roatan at 10:15am. Departing Roatan for Utila at 2:00pm. Price: Approximately 715 Lempira or about $30.00 USD per person one way but please note that the price is subject to change. Will make the trip when the captain has passengers. 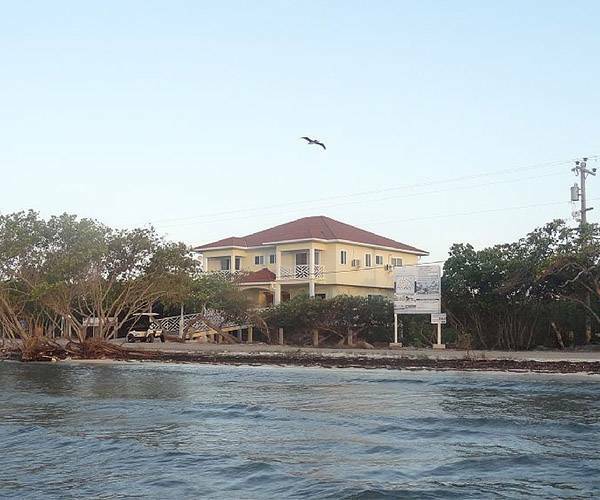 Schedule: Departs from Utila at 7:00am. Departs from Roatan at the West end at Coconut Tree divers dock at 1:00pm. Captain Dennie Jr. will make trips as requested, including day trips to either Roatan or Utila. Departure times vary depending on the group. Generally, they depart from Bush’s Supermarket dock at 8:00am . The trip takes about 45 min to 1 hour. You must reserve your place in advance. Contact: Dennie Owen Bush at 3145-7139. Price: $100usd round trip, $65usd one way. Alice of Worldwide Travel can likely get you to Roatan any day, any size group at great rates. She works with a well respected Honduran charter company with English speaking pilots and excellent service levels. For 2 people, a single engine plane will cost about $300 usd total. There are larger twin engines too. She can also book with captain Angelo of Island Air. He makes scheduled Roatan-Utila flights on Saturdays at about 1:30 pm, to connect with planes arriving/leaving from Roatan. He plane has seven seats. He can sometimes also build charters flights. Prices vary based on number of passengers, but he last quoted $500 for up to four passengers, and if more sign up, price could lower to around $125 per passenger. Contacts: Check with Alice to confirm prices. +504 9891 1960 or 504 2423-3394 alicewwtravel@yahoo.com She is English and Spanish speaking, very friendly and professional as are her staff.